← Fried Food Lovers Rejoice! NC State Fair Kicks Off This Week! 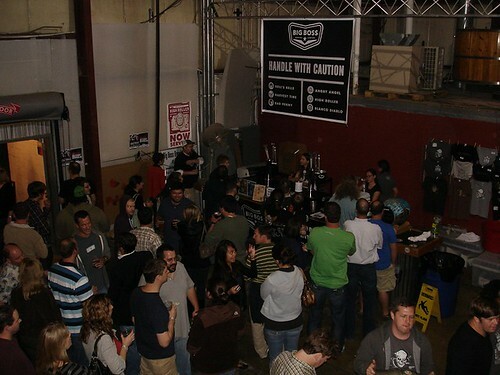 The first annual Food Truck Harvest at Big Boss Brewery in Raleigh was a tremendous success last week. 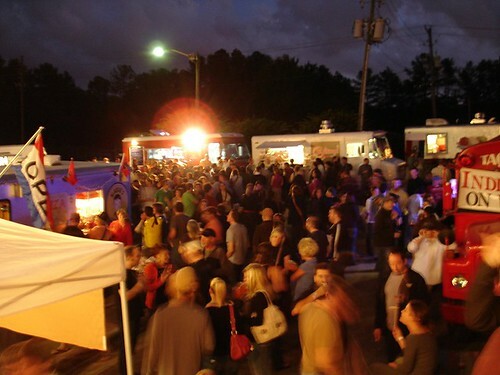 The event featured the most popular vendors in the Triangle food truck scene, with the all set up in the parking lot of the brewery. The lineup included Only Burger, Klausie’s Pizza, Mom’s Delicious Dishes, Bulkogi Korean BBQ, Valentino’s, and India on Wheels. All of them had crowds of eager customers lined up to try their food. I heard that the crowd grew so large that several eventually sold out due to the high demand by the end of the night! 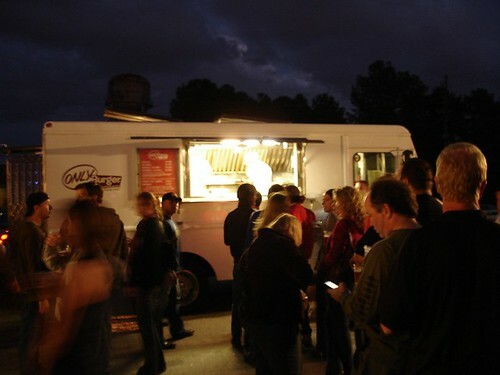 Here is a shot of hungry fans eagerly waiting in line for a burger from the guys at Only Burger out of Durham. They are always a crowd favorite, but the lines at the other food trucks were equally impressive. I grabbed some pizza from Klausie’s and it really hit the spot. The serve up a nice deep dish square pizza slice with thick cheese and lots of sauce that goes perfectly with a cold beer from Big Boss. Inside the brewery the beer taps were flowing nonstop, but the bartenders did an excellent job keeping the lines moving along. I had a pint of my favorite Big Boss Brew, the Belgian style Helle’s Belle and a pint of the seasonal Harvest Time spiced pumpkin beer. A stage was set-up inside the brewery next to the bar and several different local rock bands took to the stage throughout the evening. 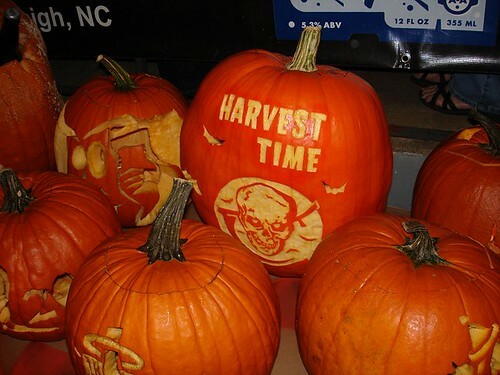 The Food Truck Harvest at Big Boss was a great way to ring in the Fall season. I’m looking forward to more events like this and hope to catch the food trucks around Raleigh more in the future. For more pics from the fest check out my flickr photo album.